Click image for large view Find the hole in the top of reel that looks like a question mark. 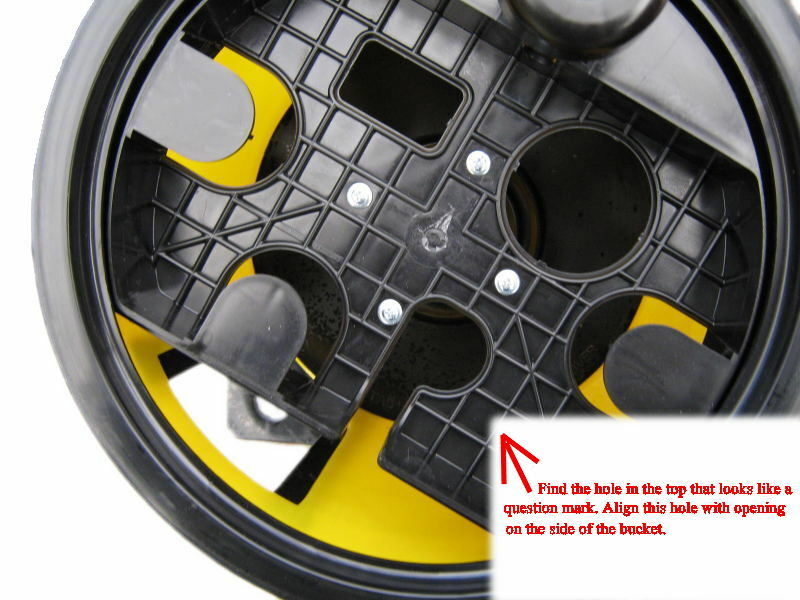 Align this hole with the opening on the side of the bucket. 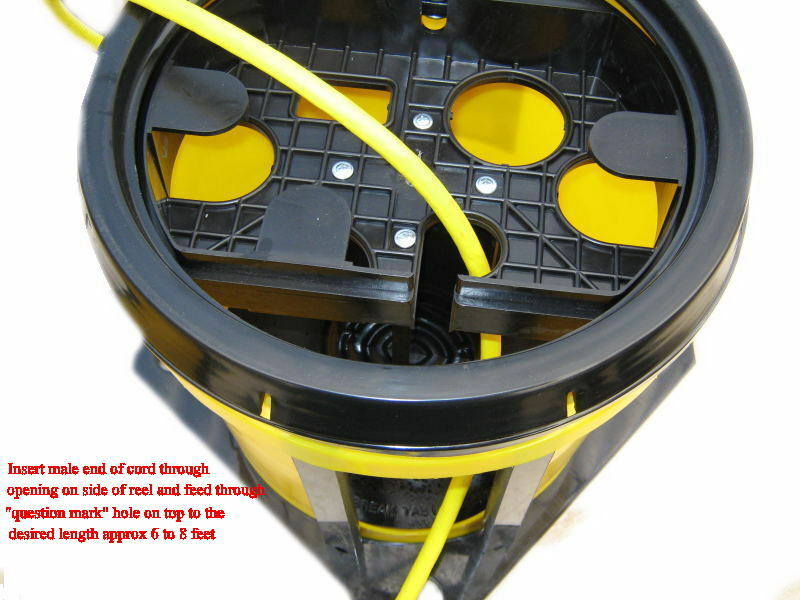 Click image for large view Insert male end of power cord through opening on side of the reel and feed through "question mark" hole on the top of bucket to desired length ... appox 6 to 8 feet. 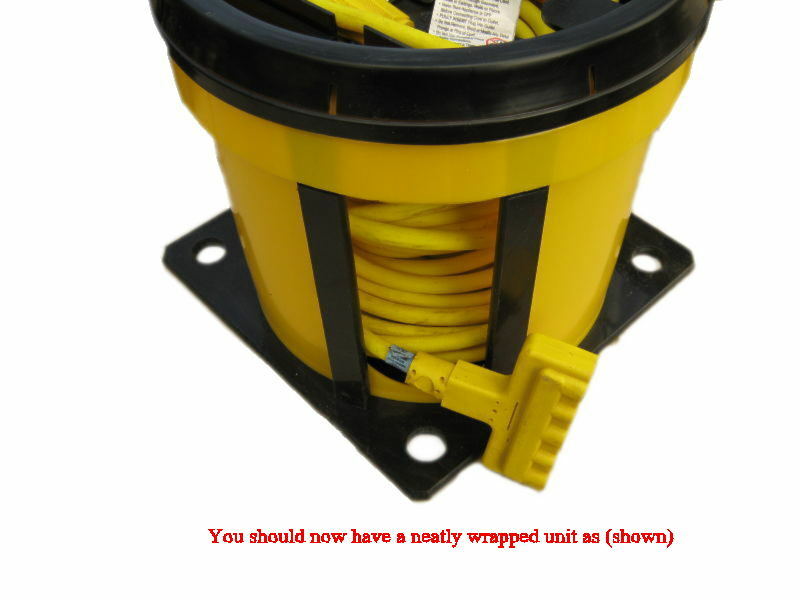 Click image for large view Wrap excess extension cord under the tabs molded in top. 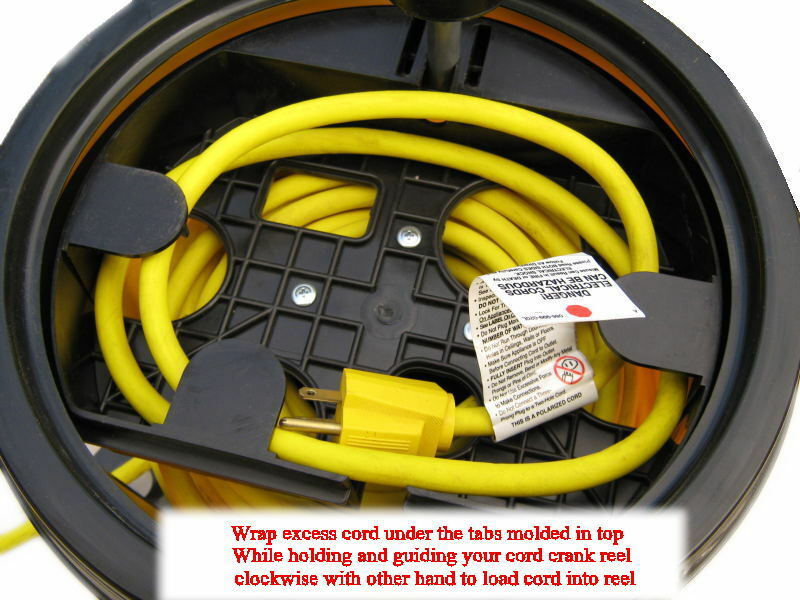 While holding and guiding your cord, rotate clockwise with the other hand to load electric cord into reel. Click image for large view You should now have a neatly wrapped cord reel as shown.